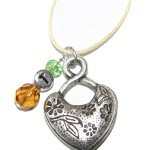 An Enchanted Self Glass Mirano style Heart is the center piece of this one of a kind necklace. All of these Enchanted Self necklaces have sterling fittings. They hang on the finest Chinese cord or the highest quality fancy ribbon. Some have a SS ‘E’ or an ‘ES’ for Enchanted or Enchanted Self, others have an Angel. Some have a SS spiral, for life, over the glass. Others have Venetian beads decorating the necklace. 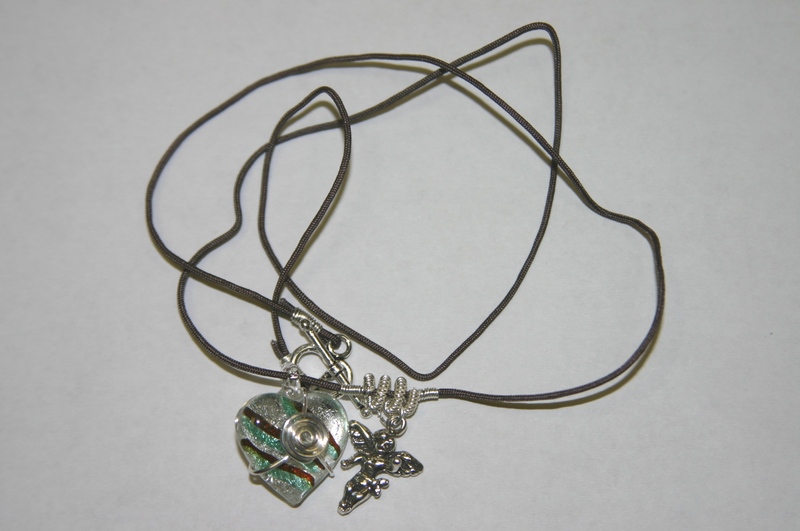 Designed by artisan, Cindy Trope, these necklaces are truly one of a kind! No two are ever alike. I’ll be picking yours for you, so tell me a little about yourself in an e-mail to drbarbara@enchantedself.com once you order! 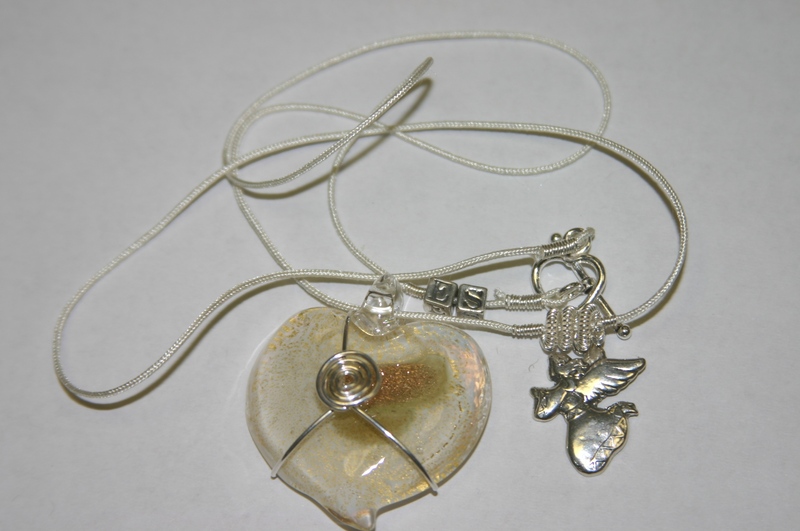 Cindy Trope, my artisan, has designed one of a kind Truth necklaces. With venetian glass trimmings and other ornaments, no necklace is ever exactly repeated. Of course, we have the heart to represent our hearts. And a letter ‘T’ for The Truth. And the rest is all up to Cindy. 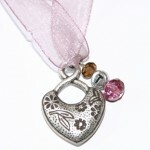 She will make sure that your necklace is unique, by her choice of crystal bead, and color of the Chinese cord. 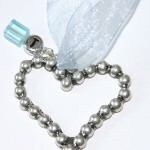 The costume necklaces are beautiful and durable-just as you are. 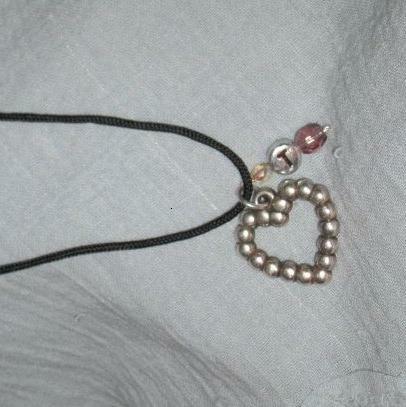 A Truth anklet for either a girl or a woman. They are also designed by Cindy Trope and have a metal heart or a metal locket and trimmings, including beads and/or Venetian glass beads. Each comes with a secret letter, just for you! You may get a ‘T’, but you may also get another letter around which you can create a secret thought about yourself to carry with you, as you wear your anklet.